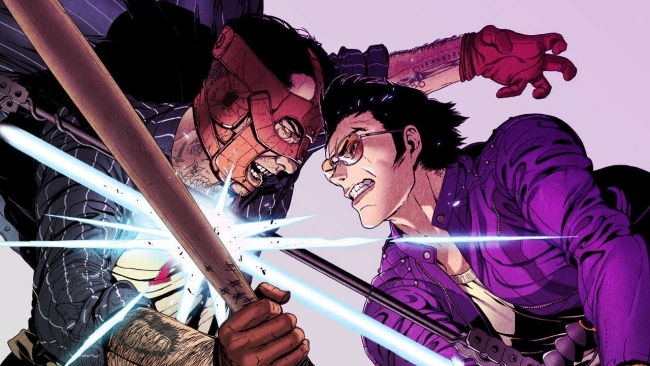 Players engulfed in the madness of Travis Strikes Again: No More Heroes will soon be able to welcome another bizarre addition to the experience. Ahead of Aprils Fools, so this is likely not a joke, developer Suda51 posted a t-shirt tease to his official Twitter account for the aforementioned Switch exclusive. The tease features a Siren shirt, which is odd to say the least. Many may recall that Siren was a survival horror game exclusive to the PlayStation 2. The Siren shirt announcement comes on the heels of a slew of other shirt reveals concerning Travis’ stylish wardrobe. For instance, players can access a recently added Link shirt for Travis now. Unfortunately, details on when the Siren shirt will go live remain to be seen. However, with the second round of DLC for Travis Strikes Again: No More Heroes set to release on April 30th, perhaps players could be dressing Travis in Siren attire very soon. For access to the second round of DLC, players can purchase the game’s $10 season pass. Those who preordered a physical version of Travis’ latest adventure, however, will have access to the DLC for free. Most notably, the upcoming DLC, “Bubblegum Fatale,” is set to add Bad Girl as a playable character. Meanwhile, the first volume of DLC, which is already available, gave players a chance to take control of Shinobu Jacobs. Of course, the Siren nod begs the question of how Suda51 went about getting permission for this bizarre Nintendo and PlayStation crossover. If anything, let’s hope this may point to Siren eventually returning in some capacity. The series’ most recent outing is a PlayStation 4 port that hit PSN for $10 in 2016. Apart from better rendering and the addition of Trophies, it seems to be the same experience.